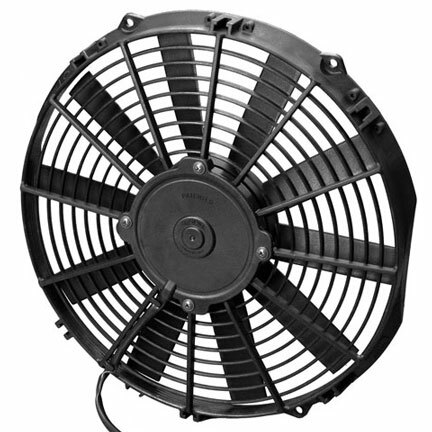 straight out of the box and feature top quality materials and construction for strength and durability against vibration. 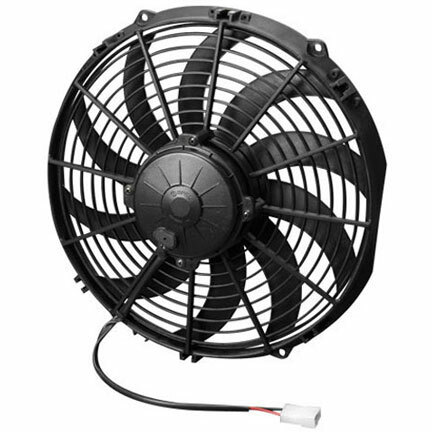 We do carry the parts and accessories that you will need for your radiator installation. 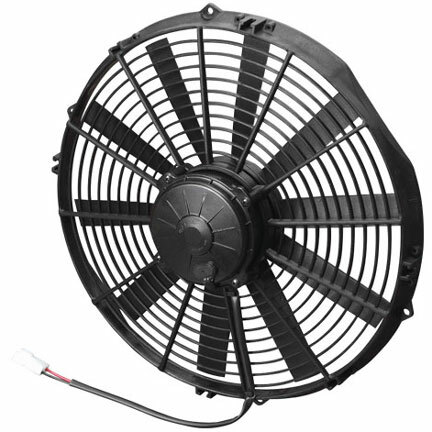 A fan harness, with temperature sensor, relay, inline fuse holder for fuse and wiring is usefull for a professional look to your wiring installation. 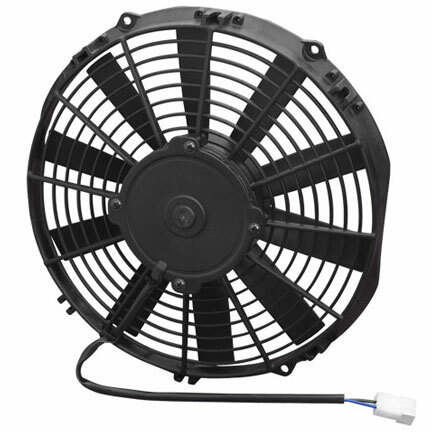 Fan mounting brackets allow endless mounting locations for your fan. 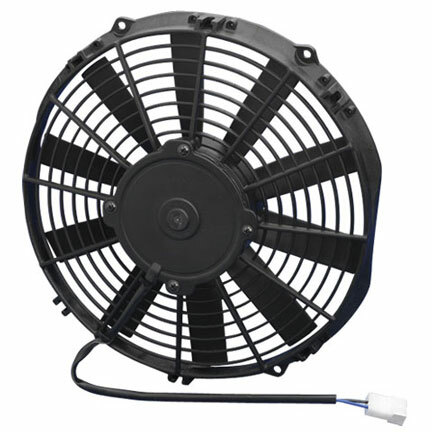 A fan shroud gasket is available for the 16" fan to protect your radiator from the possability fan damage. 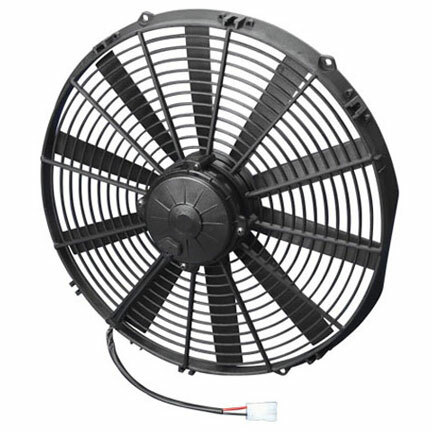 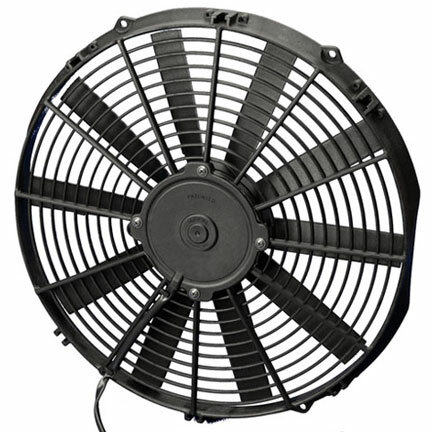 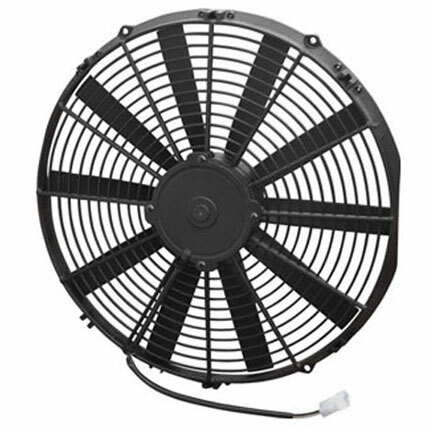 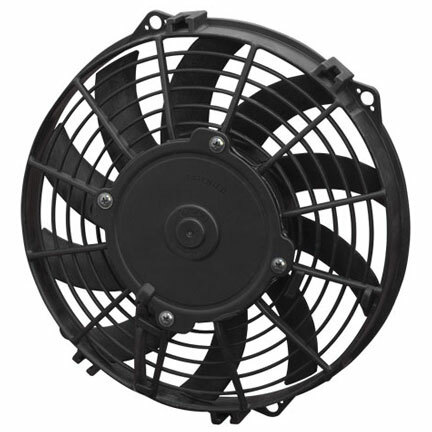 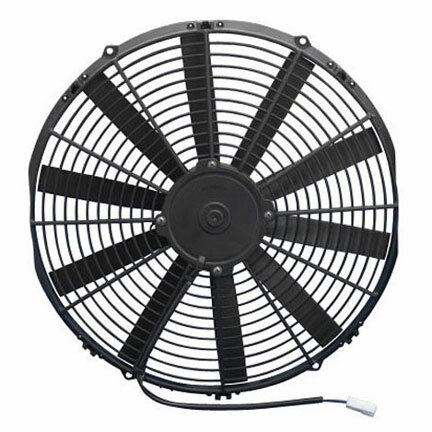 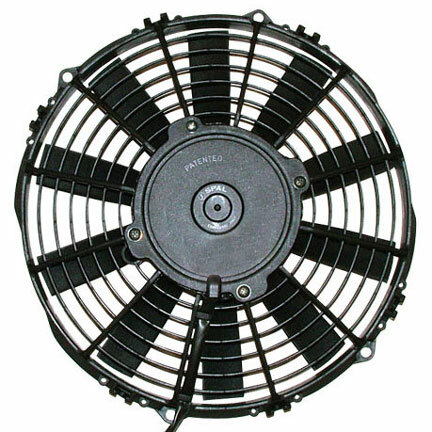 Description: Spal Electric High Performance Puller Fan, 9.00" Diameter, 708 True CFM / 2.05" Total Thickness / low profile curved blade fan.